Cut-price fares between Edinburgh and London on the east coast main line are on track after former ScotRail operator FirstGroup won the right to take on Virgin Trains East Coast (VTEC). 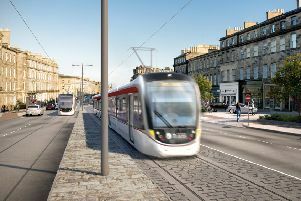 Aberdeen-based First will operate five trains a day in each direction for ten years from 2021, and has promised average fares of less than £25 – around half the current standard ticket price. VTEC, the line’s main operator, has also been given approval to run more services from 2019, after adding four more in each direction from next Monday. However, plans for faster services by a third bidder, Great Northern Eastern Railway (GNER), which has taken the name of a former operator on the route, have been knocked back. Passenger watchdogs welcomed the decision by the Office of Rail and Road (ORR). But Perth-based Stagecoach, which owns 90 per cent of VTEC, said the move would hit its franchise, which involves paying £3.3 billion to the Treasury. The firm has denied persistent rumours of underperformance despite analysts at HSBC claiming in March it was “falling behind its targets”. Stagecoach chief executive Martin Griffiths said: “We do not believe the granting of these services within a franchised system and without a level playing field is in the best interests of passengers, taxpayers or communities.